Mobile gaming and esports has experienced tremendous growth over the past three years. Patrick Carney, or as most of you know him ‘Chief Pat,’ has been a frontier for the industry, garnering over 2.5 million YouTube subscribers by setting new standards for content creation. We were lucky enough to chat with him about his esports organization Tribe Gaming, real life hobbies, and career in mobile gaming. Broken Myth (BM): You have been one of the faces of mobile gaming for several years. 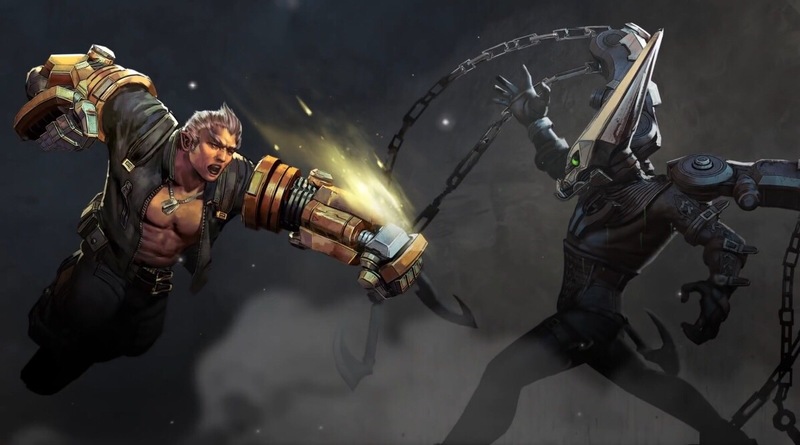 What drew your interest to picking up a competitive Vainglory team? Chief Pat (CP): For me, I’ve always been extremely passionate about both mobile gaming and esports. Not many people know this, but I actually looked at purchasing a League of Legends team a few years ago that had recently been promoted to the LCS! I quickly realized after doing my due diligence that both my brand & passion laid in mobile esports, and after being a fan of both Vainglory and SEMC since 2014, everything clicked together to join the Vainglory esports scene. BM: When did you get into gaming, and what were some of the first games you played? CP: I dabbled a little in the SNES and Sega Genesis when I was younger, but the real eye-opener for me was the N64 and Gameboy. I actually found an N64 in my parents closet around Christmas time when I was younger, and they told me it was for my cousin as a cover-up – brutal. The first games that I have fond memories of are Sonic the Hedgehog, Super Mario 64, Super Smash Bros, and Banjo Kazooie. BM: What is your favorite Vainglory hero & skin and why? CP: Favorite hero is tricky – I used to be known as a one-trick Skaarf. I’d say right now my favorite hero is SAW for 5V5, just because I’m bad and need an easy hero. 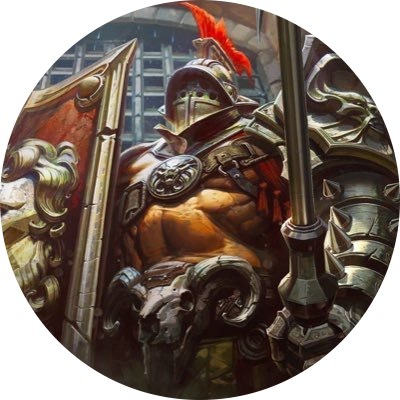 Favorite skin is Gladiator Ardan for when I go full weapon power in Blitz! BM: As an owner of a competitive esports team, what is the biggest challenge that you face on a day-to-day basis? CP: Being an owner has definitely been a learning experience, especially coming from my background as a YouTuber. As a YouTuber, you really don’t have anyone who relies on you but yourself – but as an owner, every decision you make directly affects others that are part of your organization, and you have to be extremely conscious of that. I’d say the biggest challenge as we move into 2018 is to keep our internal communication on point as we expand into additional games & bring on additional staff. BM: What were the circumstances that led you to acquire the former Immortals roster, that would eventually go on to win the 2017 Vainglory World Championship? CP: I was both excited and surprised to hear of Immortals’ roster becoming available for Fall. I actually live in the same city as ttigers and our coach, HotSauce, so I quickly set up a lunch with HotSauce and we chatted for hours about what a potential partnership would look like between the roster and Tribe. The players were understandably bummed that they had just been dropped, despite their 2nd place performance at the [Summer] Unified Live Finals, and they were specifically looking for an org that was in it for the long haul & a place that they could call home. We quickly agreed that we’d be a great pair, and it’s been history since then! BM: Where did you come up with the name “Tribe Gaming”? Was it something that you had in mind for a long time, or did it come about through the process of acquiring Immortals’ roster? CP: When founding Tribe last April, we wanted to have a powerful name that was symbolic of a cohesive & united team. We quickly settled on being part of a “tribe” as a way to represent that, and it was history from there! 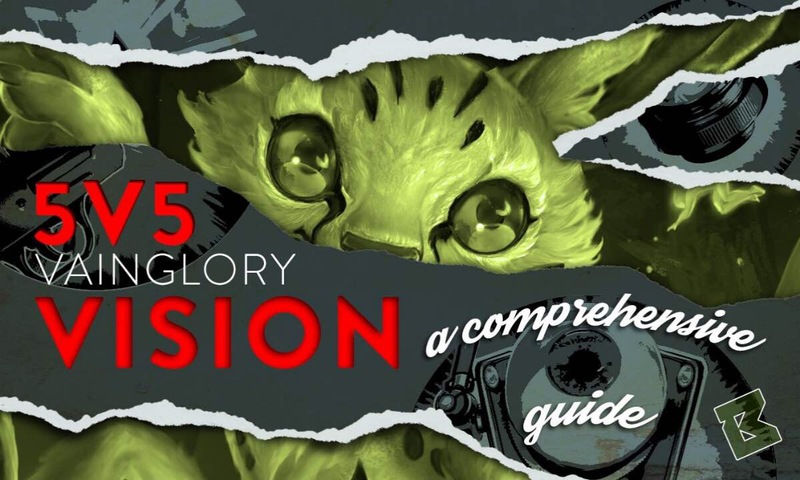 BM: While your Vainglory roster for 3V3 was star-studded, where do you go, moving forward, into Vainglory 5V5? How does Tribe Gaming plan to stay on top of the competitive scene in Vainglory while integrating new players with the current roster? CP: I think our biggest benefit heading into 5V5, besides our obvious roster talent, is the structure and support staff that we have in place. We should have one of the biggest support staffs heading into the VPL, and honestly I think it made all the difference last year as we made our run to Singapore. Having that rock-solid support staff in place makes it much easier for us to transition to 5V5, and much easier to bring new players who have to mesh with our current team dynamic. BM: Support staff is incredibly important when it comes to esports, never receiving the full credit that they are due. However, players are wondering who will fill the other two starter positions alongside DNZio, ttigers, and MaxGreen for VPL. Are you able to share what’s in the works? CP: Nothing concrete to share for now, but we should be announcing our roster in early March — stay tuned @TribeGaming on Twitter for the news! BM: What are some of your interests outside of gaming that you enjoy in your free time? CP: I’m a huge travel nerd. I spent 7 months of 2016 living outside the country, and have been to around ~35 countries so far in 4 different continents. If anyone has neat travel suggestions, I’m always open to hear them @ChiefPat. BM: What have been your favorite places to visit and why? CP: A few off the top of my head — Bali, Tokyo, Seoul, Zimbabwe, Koh Tao, and Copenhagen. Each had its own unique quirks and experiences that made them memorable, would love to go back to each soon. BM: Some people in the Vainglory community may not know your background as thoroughly as Clash of Clans or Clash Royale enthusiasts. What was your reasoning for starting your YouTube channel, and why do you think it saw such a tremendous amount of success? 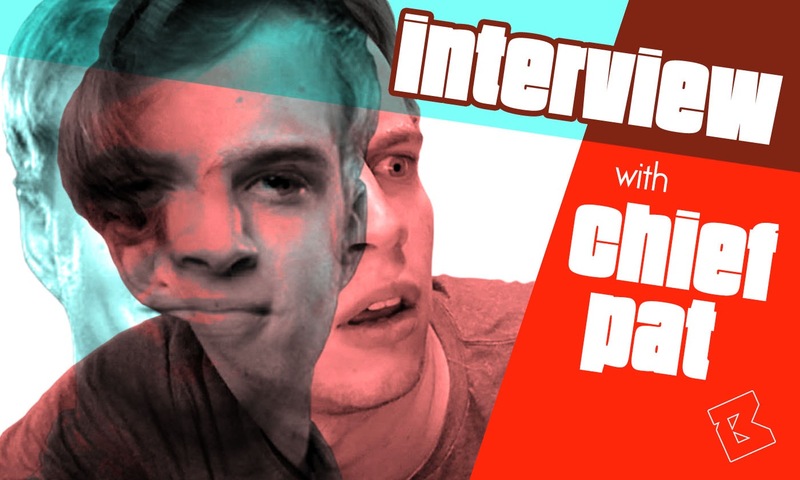 CP: I never really watched YouTube before making my channel, nor had I ever made a video before. I simply fell in love with Clash of Clans and started posting videos on it, recording gameplay videos in my college laundry room while commentating over them inside of my car… the struggle! For some reason, my dorm’s laundry room was the only place with strong enough WiFi to record my gameplay. I think I saw a lot of success early on due to the growth of Clash of Clans, as well as having a laid-back personality that was easy for people to relate with. A lot of people tell me that they feel like we’re friends, even though we’ve never met in person. BM: What are a few tips that you would give up-and-coming content creators in order for them to reach their goals and make their mark? CP: Especially nowadays on YouTube, originality is one of the few ways to have your channel break out – really try to find something that you’re awesome at, and incorporate it into your channel. Otherwise, make sure you collaborate with other creators your size (specifically if you play the same game), that’s how a lot of my friends such as NickatNyte and GamingwithMOLT grew their channels quickly. BM: What can Super Evil Megacorp do to reach the immense success that Supercell has achieved? CP: I think they’re on the right path at the moment by staying true to their community, and prioritizing product quality over everything else. To reach the success Supercell has achieved, which is massive, massive, massive success that no one else has sniffed in the mobile space, I think the mobile MOBA market needs to grow. When that happens, SEMC is clearly on the frontline of mobile MOBAs to reap the rewards. BM: If you could change or add one feature in Vainglory, what would it be? CP: I’m a simple man — I just want ranked to come out in 5V5 for now. I think also adding in an optional (keyword: optional) joystick mode for more casual and newer MOBA players would be quite helpful as well. BM: Does Tribe Gaming plan to move outside of mobile esports, or will the organization look to stay exclusively with teams in mobile esports? CP: At the current moment, all of our resources for 2018 are going into mobile esports. If opportunities outside of mobile esports arise that make sense for our vision and brand, we’ll definitely do our due diligence considering them! But for the foreseeable future, we want to be a flagship mobile-centric organization, as we believe that mobile esports is the future. BM: Where do you see Tribe Gaming at in one year? Three years? Five years? CP: It’s hard to predict the future, but I’d hope that we continue to exponentially grow at Tribe going forward into the next few years. I’d like to say that mobile esports is in the same position traditional esports was in back in 2012, and if we can follow a similar trajectory, mobile esports will really have exploded in a few years time. We definitely plan to stay true to our values and what we’ve worked to build so far, and we’d love to be the premier mobile esports organization of North America when it’s all said and done. BM: What is your most epic fail during a Vainglory match? Skip no details! CP: Yesterday, I bought TP [Teleport] boots as Gwen to backdoor their crystal while my team fought at Blackclaw… and my phone died. Safe to say that I received a lot of reports after I logged back on.